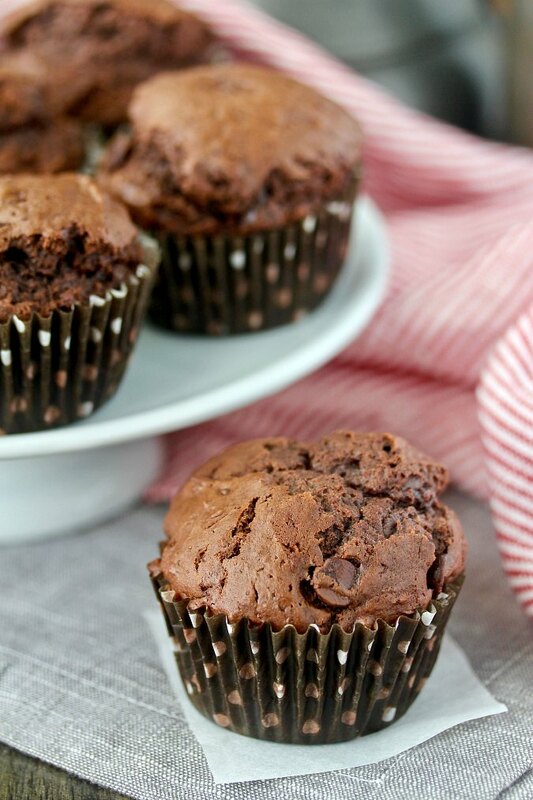 These triple-chocolate muffins get their name because they include chopped bittersweet chocolate, unsweetened cocoa, and chocolate chips. 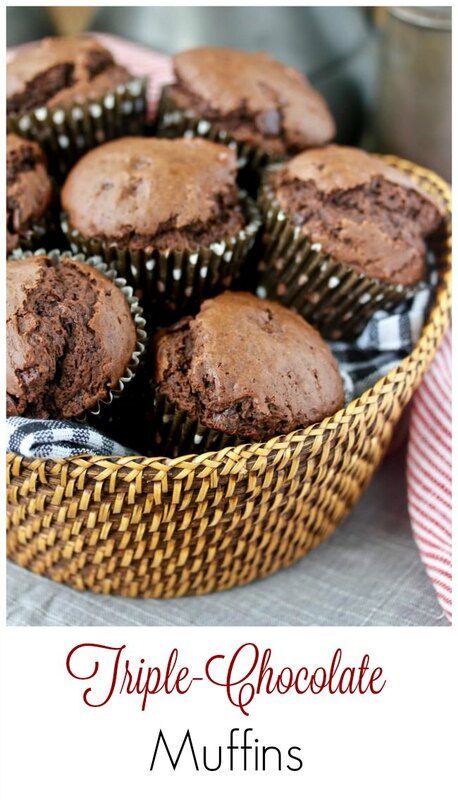 These triple chocolate muffins are loaded with enough chocolate-y flavor to satisfy any cravings. These muffins are super easy to make and I love how the tops get all "brownie like" and split open. These muffins are awesome for breakfast, and if you want to take them to another level, split them and spread them with strawberry jam. 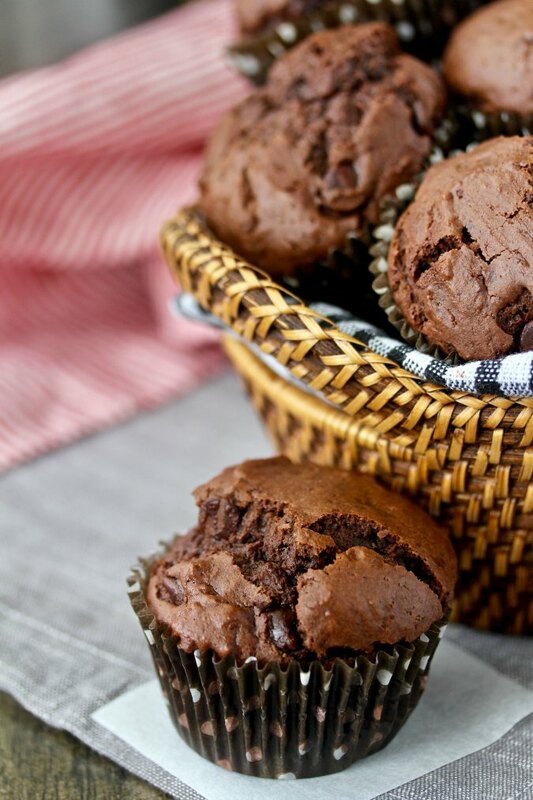 One of the tricks to getting these muffins to rise high is to place them in a 425 degree F oven, bake them for 5 minutes, and then reduce the oven temperature to 375 degrees F. While the chocolate kind of "weighs down" the batter, the initial high temperature gives these muffins some "oven spring." How do you Make Triple-Chocolate Muffins? These triple-chocolate muffins take no time at all to pull together. First, melt the butter and chocolate together in a microwave. Next, mix the dry ingredients in one bowl. Next, combine the sugar, milk vanilla, and eggs in a bowl. Finally, add both the butter/chocolate mixture and the milk mixture to the flour mixture and gently combine with the chocolate chips. Divide the mixture among the the lined baking cups and bake. Heat the oven to 425 degrees F and line a 12 cup muffin tin with paper liners. Mix the butter and bittersweet chocolate in a microwave safe bowl and microwave on high for 15 seconds three times, stirring between each microwaving. Stir until smooth. Whisk together the flour, cocoa, baking powder, salt, and baking soda in a large bowl. In a large bowl, whisk together the granulated sugar, milk, vanilla, and eggs. Add the butter/chocolate mixture and the milk mixture to the flour mixture and stir gently to combine. Bake the muffins at 425 degrees F for 5 minutes. 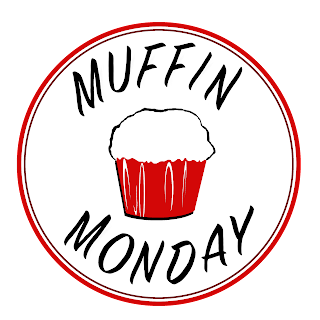 Reduce the oven temperature to 375 degrees F.
Bake the muffins for 10 more minutes. Cool the muffins in the pan on a wire rack for 5 minutes. Your "brownie" muffin tops are fabulous, Karen! I'm not much of a sweet eater but I'd be tempted by these. I usually like savory but these were a nice change! Triple chocolate? I'd definitely ditch a savoury muffin for this.